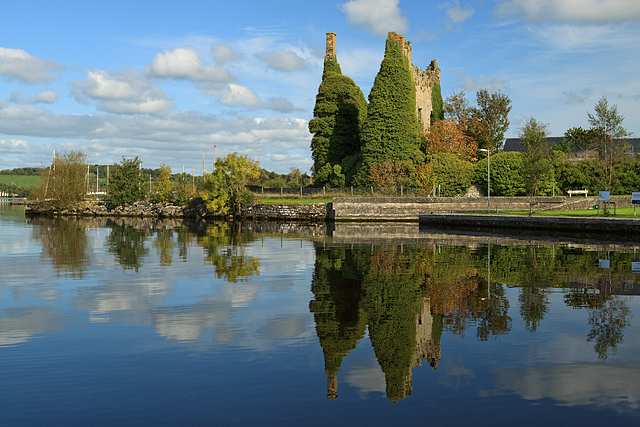 Dromineer is located on the east side of Lough Derg north of Garrykennedy and is a classic holiday village. During the summer months it is a hive of tourist activity as people come to enjoy its marina and relax by the small beach. This village can be easily explored on foot and is a regular stopping point for Shannon cruisers. Dromineer, which means ‘ford of the river’ claims to have the third-oldest yacht club in the world, the Lough Derg Yacht Club, which celebrated 175 years in 2010. There is an 11th century tower house which overlooks the harbour and makes for a beautiful sight when approaching the town. For the children, there is a large playground to entertain at the Harbour. Sailing classes can be arranged via Shannon Sailing, who are located further into the harbour, and a 10 km walking trail of the surrounding areas also begins here. The Lake café next to the pier looking out onto the lake is very popular among pleasure craft users. Here you will find great coffee and fresh made scones and breads available to take away everyday during the summer months. Declan (the owner) is full of local information and is a great help to anyone looking to explore the area. Dromineer is a trailhead for numerous cycle and walking routes including the Lough Derg Way and Slí Eala Way. Youghal bay, to the south of the town, is a popular spot for trout fishing. Stocks are also plentiful to the north of Dromineer where the Nenagh River flows into Lough Derg.